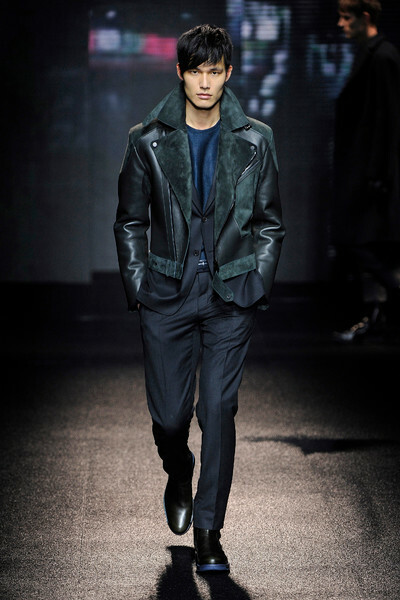 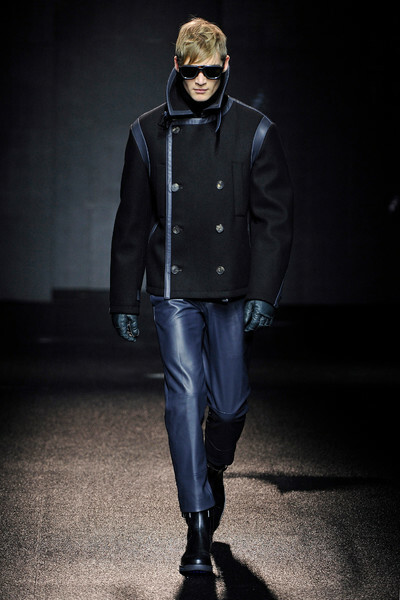 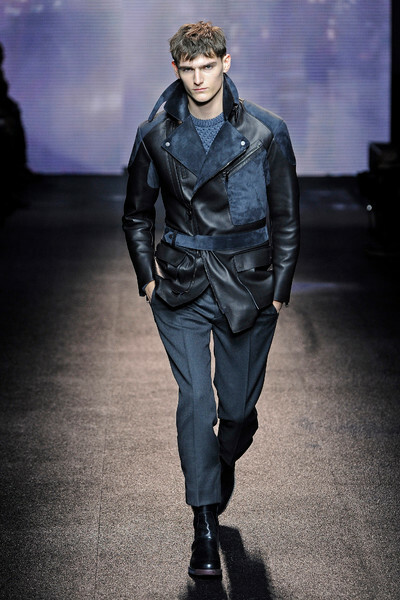 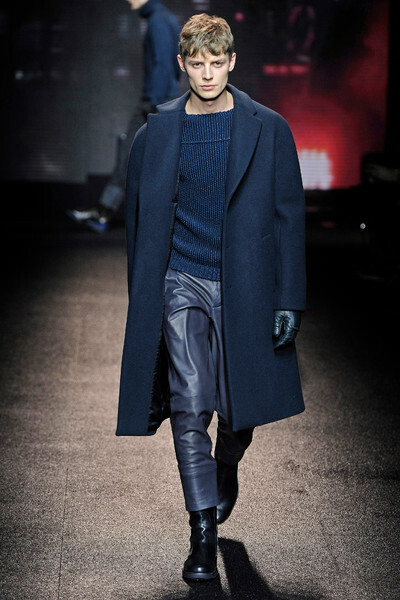 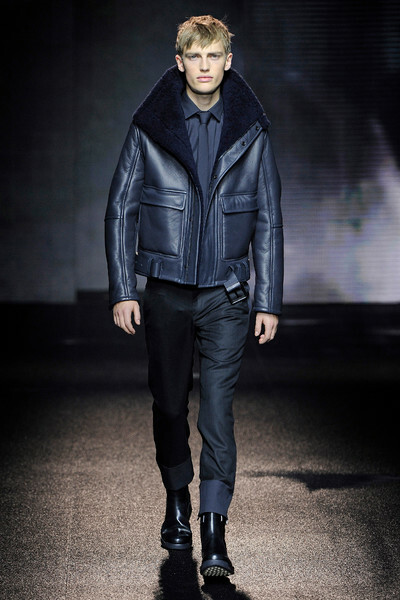 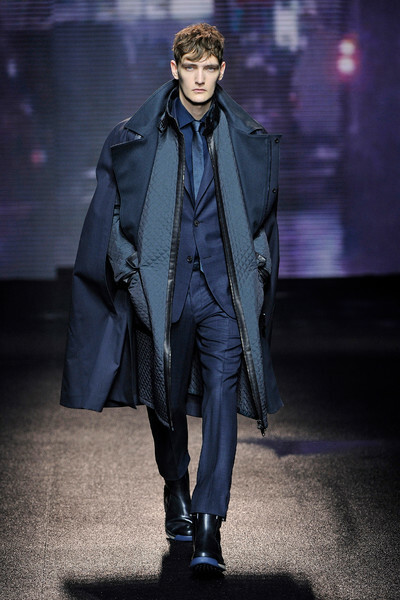 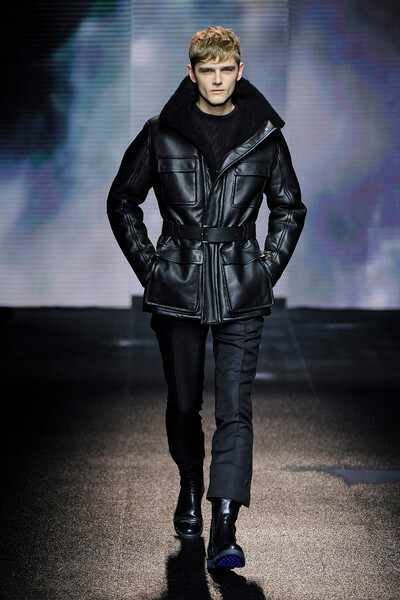 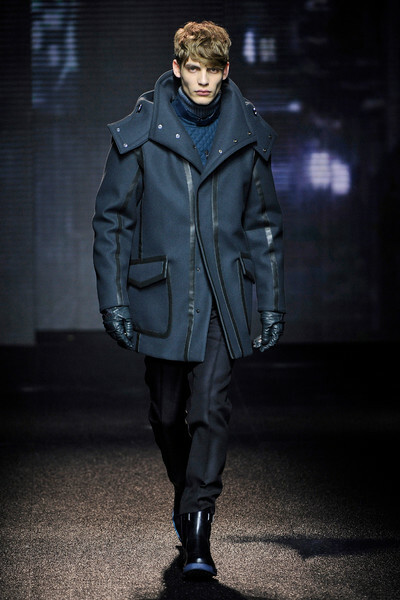 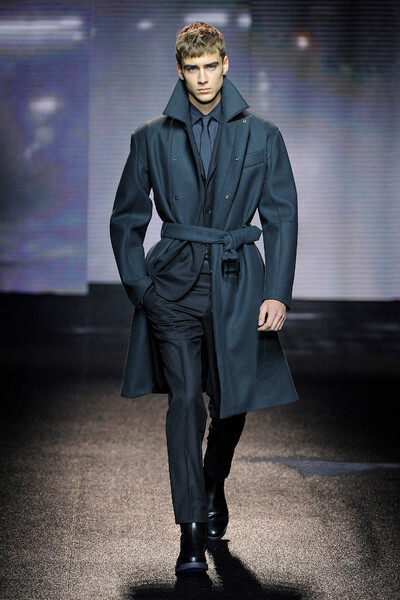 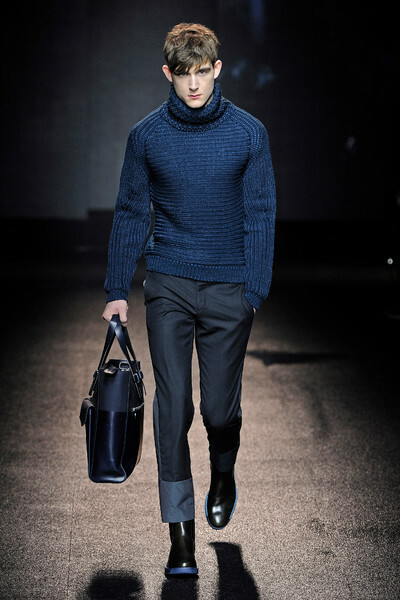 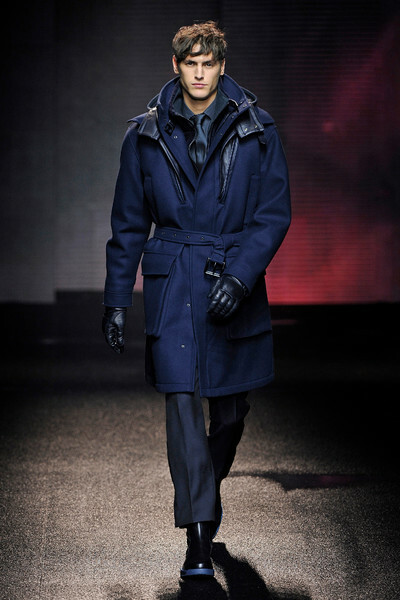 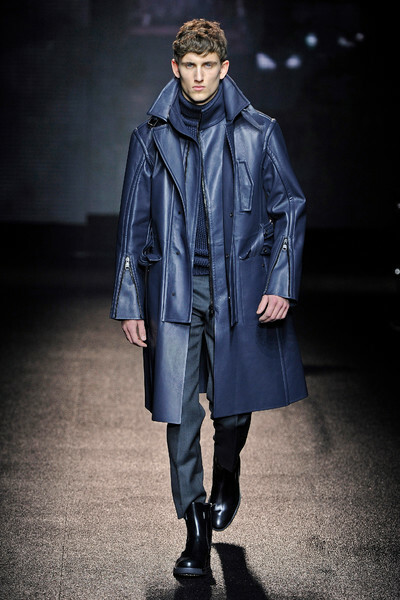 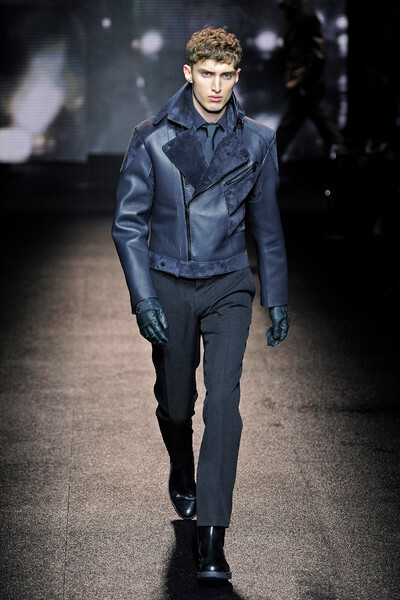 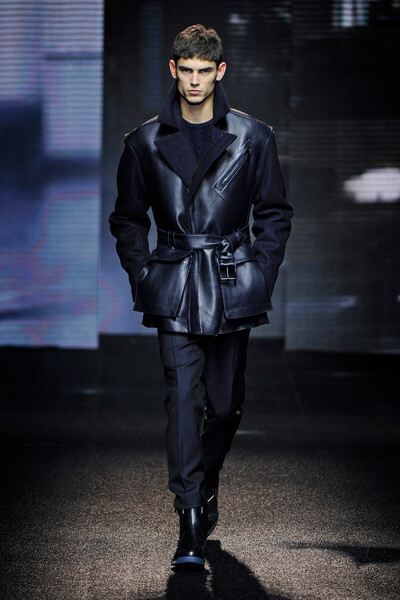 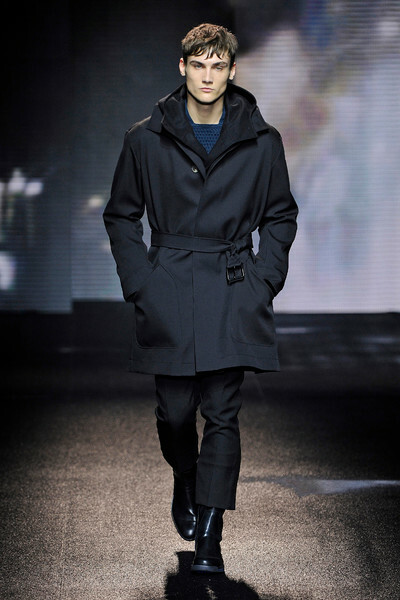 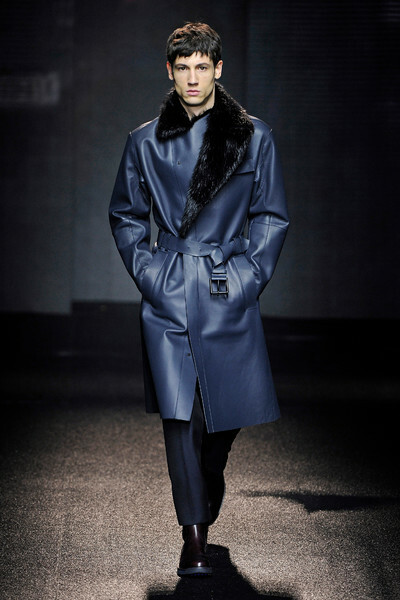 Salvatore Ferragamo today appeared to be an almost completely navy blue collection. 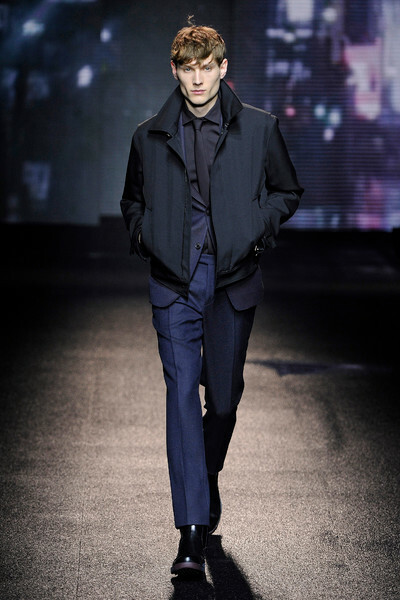 Yet there were more shades to discover in the New York by night lit runway (Ferragamo is always a treat colorwise) like grape, midnight blue, English violet, dark cyan and, naturally, black. 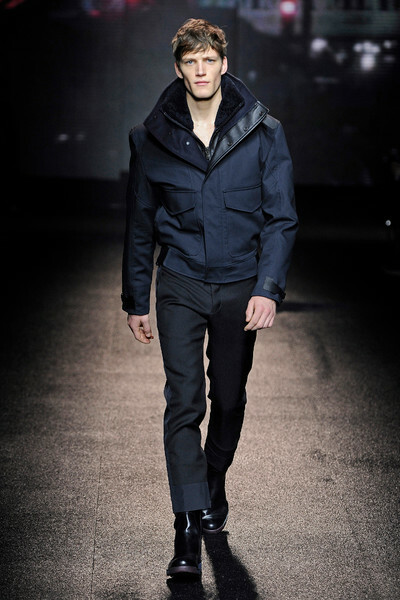 Models were well dressed and streetwise sporting cool, winter proof designs. 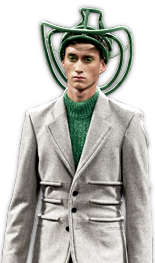 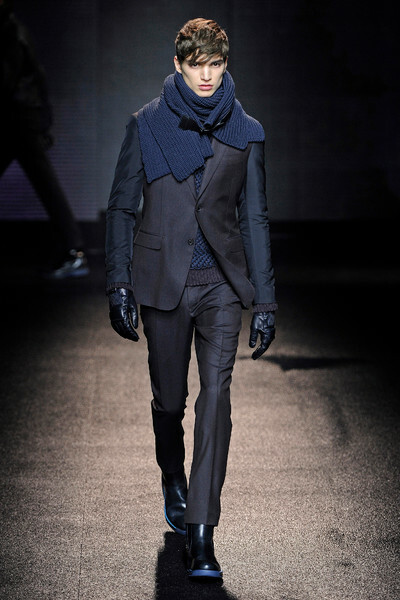 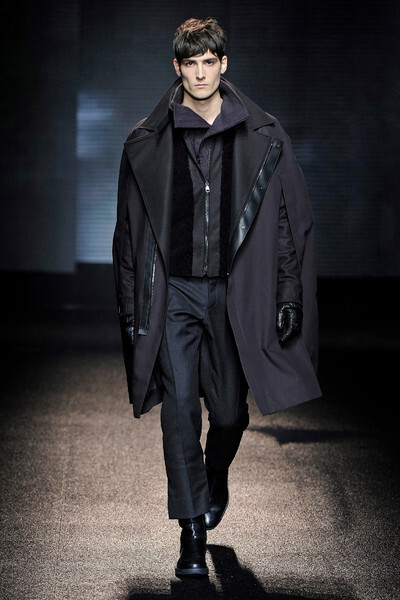 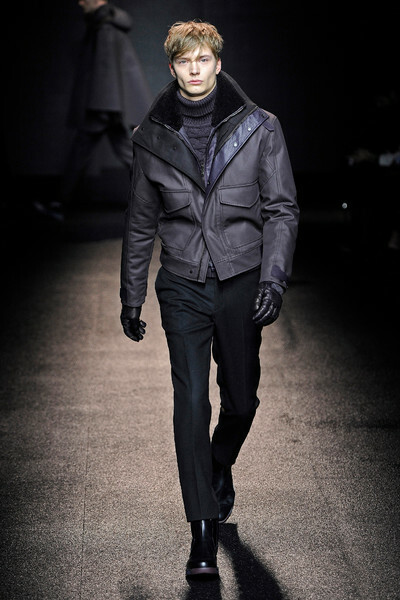 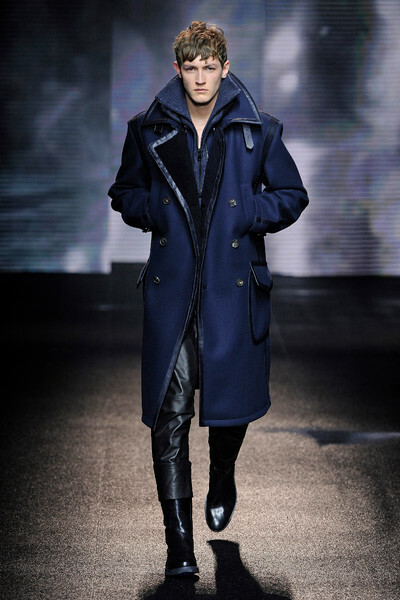 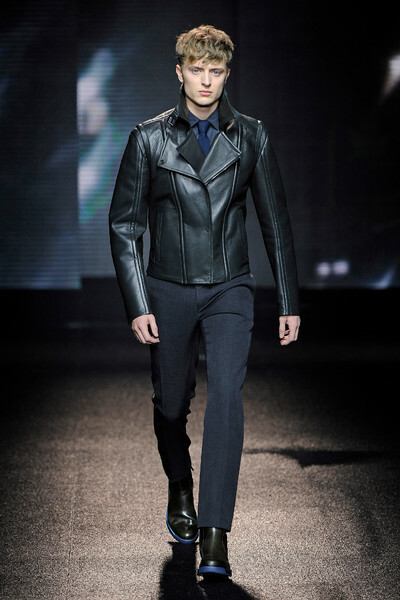 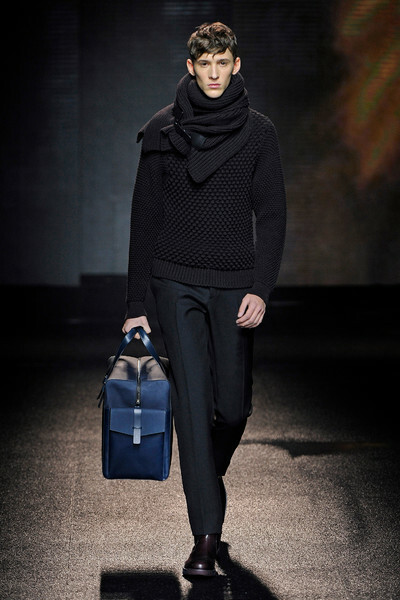 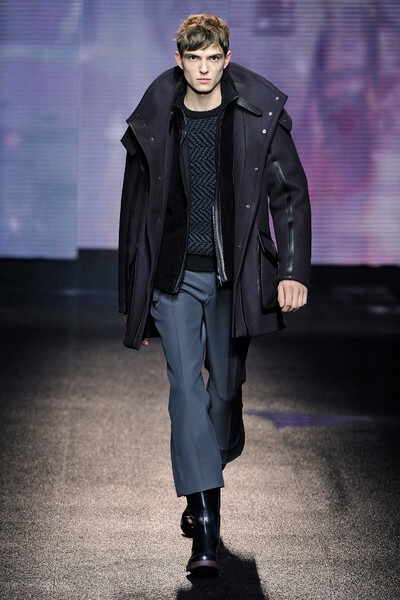 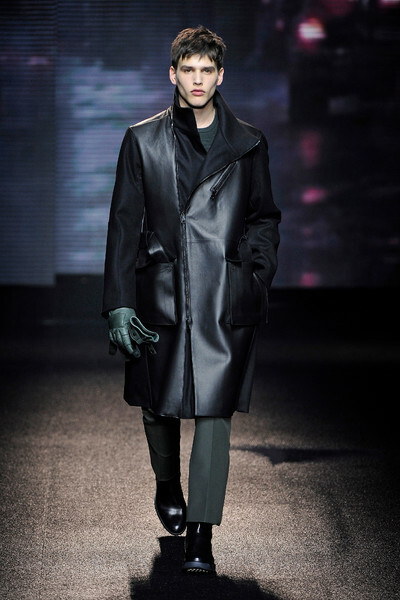 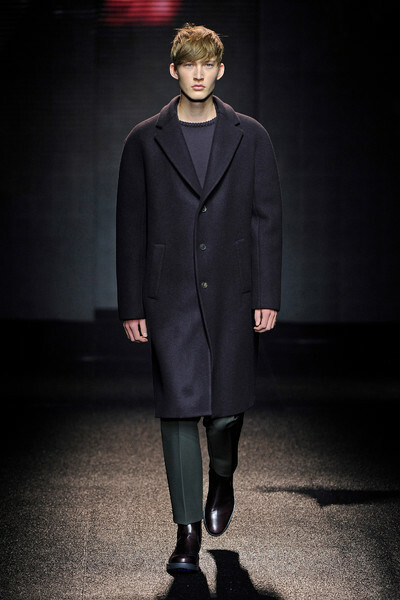 Like perfectly tailored pants, chunky sweaters and woolen coats with extraordinary collars that had leather linings. 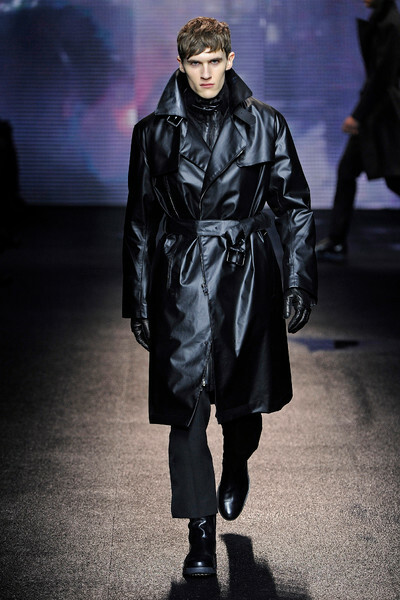 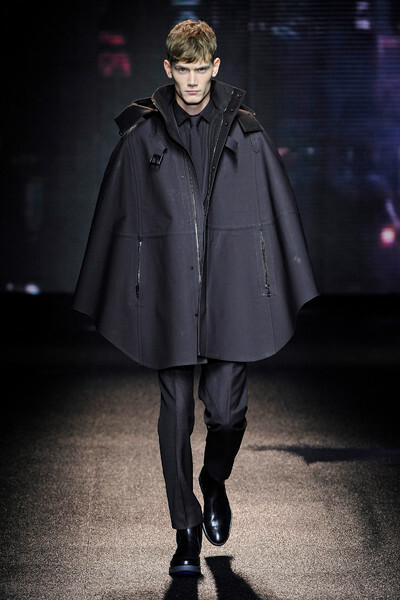 We can not come up with any weather condition the Ferragamo man is not prepared for come fall. 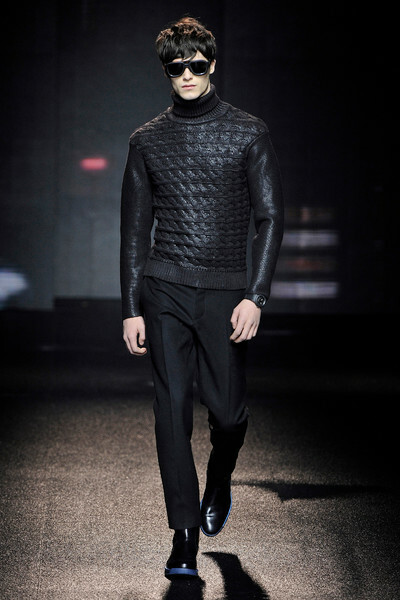 Let’s just hope winter won’t be too soft, so our men can actually wear those amazing textured designs.